Buying Website Traffic, Should You Be Doing It? Every few weeks a publisher will pull me aside and rather quietly ask me a question that I have become really used to hearing. “Tyler, should I be buying website traffic”? Publishers are rightfully wary of this topic for a couple of reasons. The first reason is that it can be viewed as unethical. Your site is a value to your core audience and to advertisers. Buying traffic is sort of cheating both. Second, publishers view it as ineffective. Low-quality traffic has a much better chance of causing harm than good. Even if you don’t see it as an ethical business challenge, it could become a major business risk if done improperly (which is the most common way it is done). Below, I’ll walk through which publishers are buying traffic, where they’re buying it from, and what risks exist with utilizing this type of strategy in your publishing business or with your website. Why would a digital publisher who’s creating great content want to buy traffic? That’s got to be the paramount reason why a content creator would want to spend their money to drive traffic (people… hopefully) to their website. And there are really two ways to do this… ethically and unethically. We could argue that — at a certain level — the money spent buying traffic is really directed at acquiring an audience. An audience that publishers hope will return and view their brand/website/content favorably in the future. This is really the ethical and most effective way to look at buying traffic if you’re a digital publisher that is legitimately creating good content that real people want to read. However, doing this effectively is not easy and it’s arguable if it is even possible. This is a real conversation that is being had among major publishers at conferences around the world. If you buy a visitor from Facebook/etc. are you renting a visitor or buying one? Traditionally, publishers that have built their businesses buying traffic don’t care much about their “audience”. They are notorious for pumping and dumping websites and playing fast and loose with the various platform and network policies. This is where ethics get grey about buying traffic. The most classic example of the type of publisher that buys traffic is one that is not viewed very favorably within the ecosystem. The act of buying cheap website traffic in order to turn a profit from the website visits (via ads / downloads / etc.) is called website arbitrage. Arbitrage – the simultaneous buying and selling of commodities in different markets or in derivative forms in order to take advantage of differing prices for the same asset. In this case, the “commodity” is website traffic. As most quality publishers know, not all traffic is created equal. We can see the inequality in different kinds of traffic in dozens of different ways (think geo-location, session length, and other forms of behavior and attributes). The classic arbitrager isn’t concerned about who/what the traffic actually is. They just want to make more money from the visits than they do from buying the traffic. This is almost impossible to do through platforms like AdWords in modern instances. However, in recent times, publishers have looked to places like Facebook, Twitter, and native ad networks to specifically target specific audiences that they believe they can acquire cheaply. This is why this group of publishers is viewed so disfavorably by just about all the parties in the ecosystem. Platforms dislike them because they violate their policies, and when they do follow guidelines, they are generally degrading the quality of the content that exists on the platform itself (think, “you’ll never believe what she did next” quality). Advertisers, ad networks, and ad exchanges dislike them because these types of publishers degrade the quality of the ecosystem. Low-quality, disengaged — or even tricked or mislead — audiences aren’t really very valuable for advertisers. And… that’s why other publishers don’t like them. The value that bottom-of-the-barrel arbitragers (not all are totally bad) pull out of the marketplace makes the ad ecosystem less lucrative for the rest of publishers. Not to mention, the worst bad actors often steal content from quality publishers then run ads on platforms to drive traffic the stolen content on their properties. This means the thief is profiting off of the original publishers content. Can you buy quality web traffic? The answer to this question is … absolutely! Example: I write an article on the most exciting moments from the 2018 World Cup. I then use advertising platforms to promote my content to die-hard soccer/futball fans. I would likely be acquiring a real audience that would be engaged in my content. It might not be profitable for me to acquire that audience straight away. What if I spend $100 on ads for that content, but the visits only generate $45? I would have lost $55 buying that traffic. The only way for me to justify that ROI is if I felt that something about that audience’s experience would allow me to determine that they would visit again. Using advanced engagement analytics to see return visitor rates from these traffic sources can be a good place to start. I could also look at something like newsletter subscribes and other details that may lead me to believe I could get these visitors back again soon — allowing me to profit over the long term from this audience. It is possible through superb content and excellent targeting to turn a direct profit from buying traffic from quality platforms (I’ll go into what these are later). Unfortunately, it is not an easy game to play. Getting this right is labor intensive. At the end of the day, publishers have to create content that their audience loves to make this work. If you are creating great content already, you probably don’t need to be spending all of your time on finding ways to profit from buying just the right amount of traffic. You just probably don’t need to. Paid traffic becomes secondary at that point. The primary source of quality traffic out there is still from traditional sources… i.e. 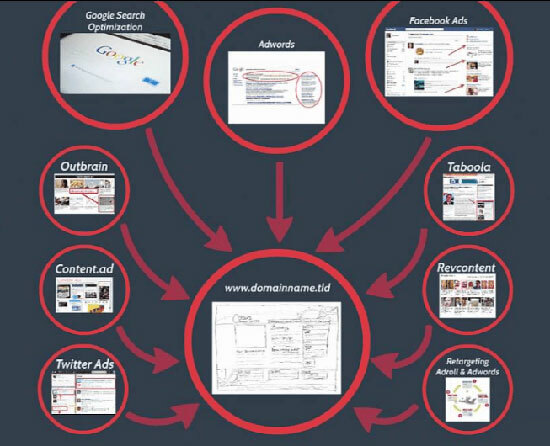 organic search, organic social, direct/return, referral traffic. What platforms are the best for buying quality traffic? We’ll skip the history lesson. In modern times, Facebook, Twitter, and native ad networks are the most common sources of traffic buying. Buying cheap traffic from some guy you met on Reddit or an internet forum is asking to get burned. 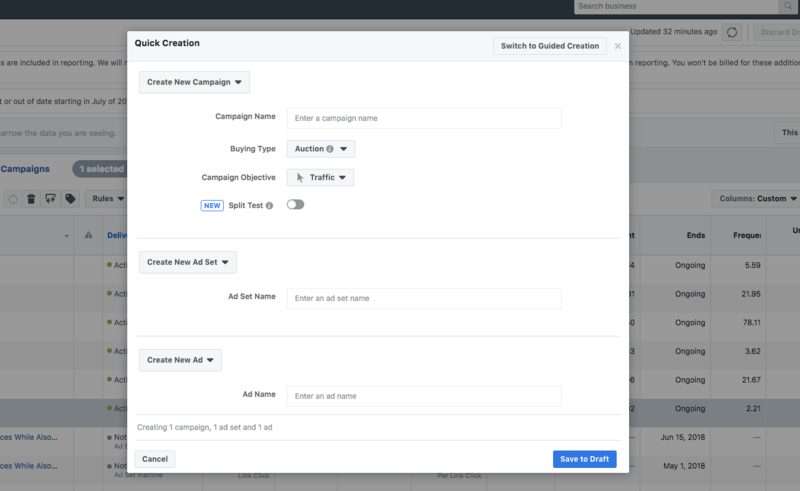 As much as it pains me to say it, Facebook is probably the place where publishers can best connect with their audience and generate quality traffic (think about the early part of this article where I described acquiring an audience). Usually, publishers will boost posts to specific audiences that they know will engage with their content. Boosting refers to paying to expand the reach to a particular audience on the Facebook platform. Example: You write a post that has higher than normal engagement from your Facebook audience on the Facebook platform. Then, you dig in and see that visitors from Germany are actually the ones most interested (simple example). You hyper-target your audience and specifically target the ones in Germany in a boosted post. This is one of the best examples I can give of a publisher essentially trying to buy an audience off of a platform. 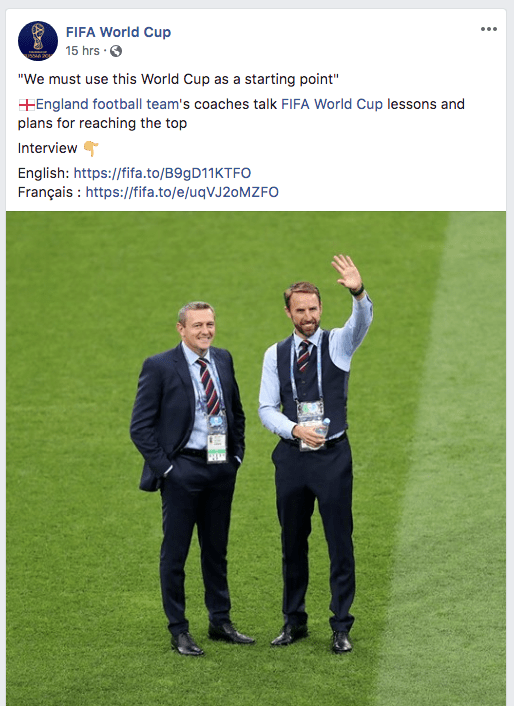 The idea being, publishers are trying to make the vast audience on Facebook aware of the great relevant content that exists on the publisher’s site. If it’s as relevant to the audience as the publisher thinks it is, publishers can build campaigns that make this cost-effective … sort of. Publishers can get a quality audience in an inexpensive form this way. Hopefully, you can turn a small profit from this, but if not, perhaps you have acquired a returning visitor that you will profit from over time. 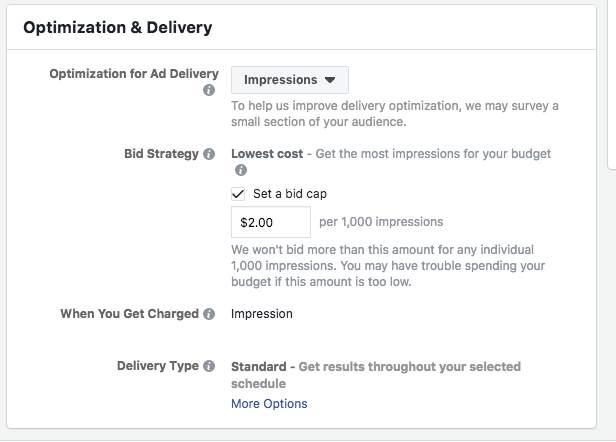 By paying for viewable impressions on Facebook boosted posts. This is how you gamble on the popularity of your content. If you get the targeting right — and your content is good — you can get clicks at an extremely low cost. For example: You bid $1.00 per 1,000 viewable impressions. Your content engages your audience and then one out of every ten people that sees that article clicks on it. This results in $0.01 per click. A penny per person. This seems like a really good deal for a quality audience. Can you profit more than $0.01 per visitor for that audience? Maybe. That’s why EPMV is important. What quality publishers are buying traffic? So, are quality publishers really buying traffic? Yes. But, not all of them. They hate to admit it, but many large publishers are buying traffic from Facebook. Digiday recently detailed and studied who was running Facebook ads, and just how many ads they were running. This provides some insight into the behavior of large publishers in this arena. I think it’s fair to say that The New York Times is not engaging in classic traffic arbitrage; however, there is no doubt they are buying traffic. They are likely a good example of a publisher looking to buy an audience away from the platforms and into their ecosystem. Should you be buying traffic? Back to the original question that I get asked all the time. My answer is always the same. Educate yourself. The broad answer is, “no”. The chances of losing money or harming your site are higher than coming out on top. That said, some of the largest and most successful publishers on the planet are doing it for a reason. They have an educated strategy they are attempting to execute. However, keep in mind that the profitability of these strategies is still very much in debate inside of many of these organizations. Ultimately, publishers should be careful about investing too much of their time and energy into buying traffic. There are a lot of websites that have been burned badly over the years by platform shifts in this area. Policy rulebreakers often experience monetary clawbacks from platforms that result in major financial losses. Think of this entire idea as an experiment in ancillary audience acquisition. Questions, thoughts, opinions? Leave them below or engage me on Twitter.